Master Sgt. 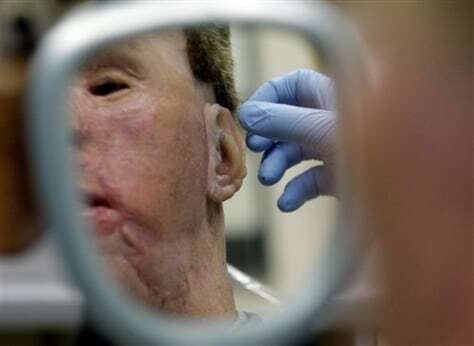 Todd Nelson watches in a mirror as Dr. Joe Villalobos makes adjustments to a prosthetics ear at Wilford Hall Medical Center in San Antonio on June 23, 2010. Nelson was injured in 2007 by an explosion while serving in Afghanistan.